Zoiks! Online - The Very Best in Stand-Up And Music! : Album Review – Lullwater’s "LullWater" – If the Foo Fighters released this Album it would Win the Grammy for Album of the Year. Album Review – Lullwater’s "LullWater" – If the Foo Fighters released this Album it would Win the Grammy for Album of the Year. Tweet One of the things I like most about this job is coming across a band that is putting out music that is on par with established bands that are headlining arenas and have dedicated fan bases. When I listen to Lullwater I’m taken back to the early nineties. Their music is very modern, but the feeling I get listening to it is the same feeling I got back in the day when I listened to bands like Pearl Jam, Stone Temple Pilots and Nirvana. If the Foo Fighters threw their name on this album and released it as their own, it’d be at the very least the rock album of the year if not the album of the year. Because the bands name is Lullwater and none of you have heard of them then most likely this album won’t get any Grammy love, but what it will get is my love. At this point in 2013 Lullwater’s self titled album is on my top ten albums of the year. Music today is so disposable and so many bands sound like one another that when I come across a band like Lullwater I get motivated to keep doing this. You can hear Lullwater’s influences, but their sound is completely their own. Song after song on the album provides you with a completely different experience. The opening track "Oddline" is an arena ready rock anthem. The next track "New Design" strips it back a little before unleashing a powerful and intense chorus. Front man John Strickland’s vocals are very vulnerable. The album isn’t over produced giving it a very raw and honest sound that brings me back to those early grunge days, hell it brings me back to the late sixties early seventies when bands didn’t have a choice but to be raw and honest. 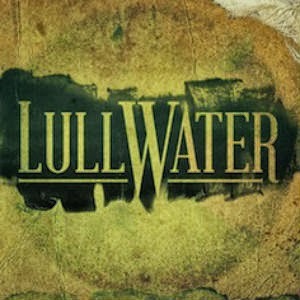 If you’re looking to discover a band that your friends haven’t quite discovered yet then Lullwater is the band for you. They’re the band that in three years when their music connects with a larger audience you can turn on them and call them sell outs while still going to every show because that’s what we do as fans, we turn on our favorite bands when they become successful, while still secretly liking them because we’re hypocrites. Sorry I got off topic, I love the self titled album by Lullwater and I really think you will too, pick it up. Support young music.